The shooters left behind a massive arsenal but no digital footprint. The FBI is now officially investigating the deadly San Bernardino shooting as an "act of terrorism" after it determined there was "extensive planning" involved with the attack. FBI Assistant Director David Bowdich noted today that investigators had found two broken cellphones that they believe show the couple was actively trying to cover their tracks. "We have retained those cellphones and we do continue to exploit the data from the cellphones," Bowdich said at a news conference this afternoon. "We do hope that the digital fingerprints that were left by these two individuals will take us towards their motivation. That evidence is incredibly important." Bowdich noted that the FBI had confirmed "there are some telephonic connections between these two individuals -- at least one of these individuals -- and other subjects of our investigation." 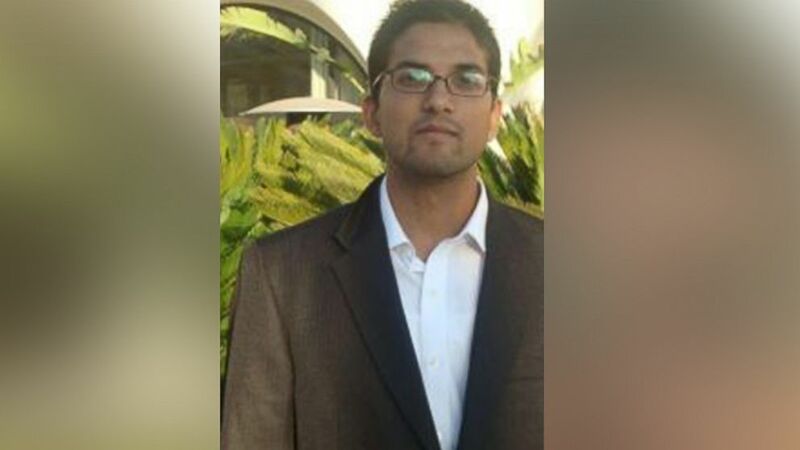 Those individuals are suspects Syed Farook and his wife, Tashfeen Malik, who were killed by police in a shootout after their deadly attack, which they had apparently planned, officials said. In addition to having plenty of ammunition for another attack, sources told ABC News they also made sure to cover their tracks. Police detailed the extent of the arsenal of a dozen pipe bomb-style devices and more than 4,500 rounds of ammunition that were found at the couple's Redlands, California, home, as well as the 1,600 rounds they had in the rental car they were driving during their face-off with police. 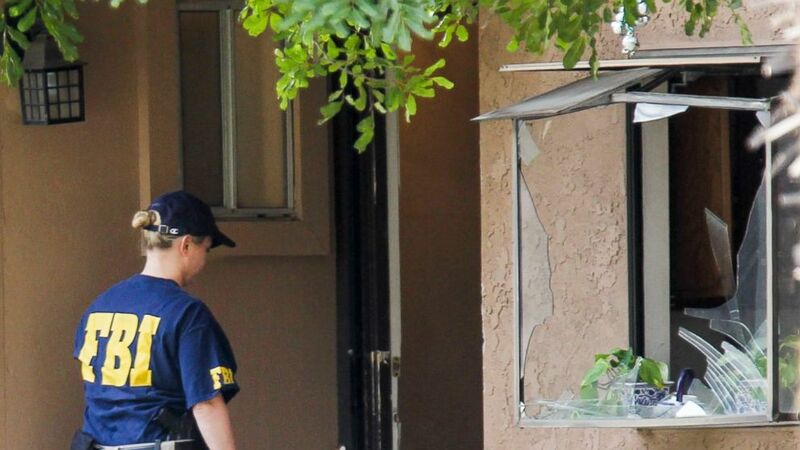 Investigators were concerned when they went to search the couple's home that there might have been explosives rigged to go off, because there was a pipe bomb at the scene of the shooting that had a remote detonator attached. (Ringo H.W. Chiu/AP Photo) A FBI agent searches outside a home in San Bernardino, Calif., Dec. 3, 2015. "We took our time in securing it, making sure we went in that house, secured it safely. That's where we discovered the other pipe bombs," San Bernardino police Chief Jarrod Burguan said Thursday. Burguan noted that police did secure "some other evidence -- computer evidence, cellphones," but that does not mean that investigators will have instant access into the suspect's digital trail. Sources have told ABC News that mobile phones, hard drives and virtually anything with digital memory associated with Farook and Malik had been smashed when they were found by investigators. (Syed Rizwan Farook/Singlemuslim.com) Syed Rizwan Farook, is seen here in an online dating profile photo. FBI computer forensics analysts in Orange County, California ,and at the FBI lab in Quantico, Virginia, will try to reconstruct and extract any digital information they can, which sources said will be painstaking work. One law enforcement source told ABC News that while investigators have some capabilities to mine information from damaged digital media, “they are not miracle workers." ABC News' Pierre Thomas and Jack Date contributed to this report.